While humans might be discerning about what they put in their mouths, some dogs are about as discerning as your average goat! There are 1000s of different dog foods on the market, manufactured by 1000s of different brands. It's up to you - their loving owner - to make sure that your four-legged friend is getting the right amount of nutrition in their feed bowl. Your friends at LTHQ have done the leg and finger work for you and looked into some of the 1000s of available brands so you don’t have to. No need to thank us, though we don’t mind a little feedback from our beloved readers! 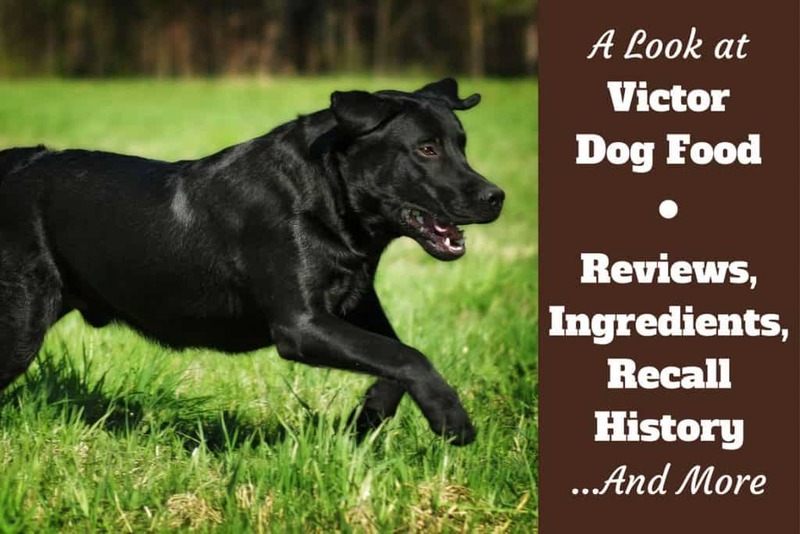 Following is our detailed look at Victor Dog Food reviews, quality of ingredients, company details, recall history and more. Note: The links above take you to more information, current prices and customer reviews on Chewy. Who Makes Victor Dog Food and Where is it Made? What Dogs Is Victor For or Suited to? What Dogs Might do Better on A Different Brand? 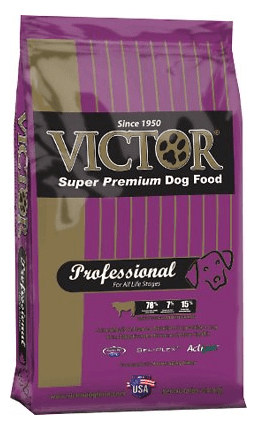 Victor offers consumers a reasonable selection of what it calls "Super Premium" pet food. They predominantly make dry kibble, but have recently added a small range of wet, canned food. Blends purporting to target different nutritional requirements are available, including several grain-free blends. As much as possible, Victor uses locally-sourced ingredients and meat is their prime source of protein, though they appear to always use meal instead of fresh meat (with the exception of the salmon). Fruits, berries and vegetables are almost entirely absent from Victor dog food. The corporate image is very non-corporate and they are focused on being a family business. They do maintain a decent website and have all the requisite social media feeds, though updates are few and far between. To be fair, however, this is a rather small company compared to many. The sample size of customer reviews is small, but most seem to be more than happy with their purchase. We do recommend this food for most dogs. Victor dog food is a product of Mid America Pet Food LLC. This small company is based in Texas, which is also where the pet food is manufactured in their own custom-built facility. In addition to dog food, there are also Victor branded cat food products and horse feed. Victor has its origins as a brand name sometime in the mid-1940s, however, the product available today has only been in existence since 2007. This is a video provided by Victor brand through their YouTube channel summarizing the history, manufacturing, and philosophy of the brand. Quoted from the manufacturer's website: VictorPetFood.com Beef Meal, Sweet Potato, Chicken Meal, Peas, Chicken Fat (preserved with mixed Tocopherols), Pork Meal, Menhaden Fish Meal (source of DHA-Docosahexaenoic Acid), Dehydrated Alfalfa Meal, Dried Egg Product, Flax Seed (source of Omega 3 Fatty Acid), Yeast Culture, Natural Chicken Flavor, Potassium Chloride, Dried Kelp, Salt, Montmorillonite, Tomato Pomace (source of Lycopene), Dried Carrot, Choline Chloride, Hydrolyzed Yeast, Dried Chicory Root, Taurine, Zinc Amino Acid Complex, Hydrolyzed Yeast, Vitamin E Supplement, Iron Amino Acid Complex, Manganese Amino Acid Complex, Ferrous Sulfate, Zinc Sulfate, Selenium Yeast, L-Carnitine, Vitamin A Supplement, Vitamin D Supplement, Copper Sulfate, Vitamin B-12 Supplement, Niacin Supplement, D-Calcium Pantothenate, Thiamine Mononitrate, Biotin, Magnesium Amino Acid Chelate, Riboflavin Supplement, Calcium Iodate, Pyridoxine Hydrochloride, Lecithin, Fructooligosaccharide, Folic Acid, Yeast Extract, Dried Enterococcus Faecium Fermentation Product, Dried Lactobacillus Acidophilus Fermentation Product, Dried Aspergillus Niger Fermentation Product, Dried Bacillus Subtilis Fermentation Product, Yucca Schidigera Extract, Citric Acid, Rosemary Extract. Pork meal – Even more concentrated protein. Sweet potato – If you must put potato in your dog food, this is the right choice. Gluten-free, full of complex carbs, and high in beta carotene and fiber; what’s not to like? Chicken meal – The manufacturer claims to use locally sourced chicken, which is a positive attribute. Like beef meal, this is a concentrate that’s high in protein. Peas – More carbs, more fiber. All in all, a good choice. Chicken fat – Sounds awful (we usually trim it off our own meals), but is actually great for dogs, since it contains omega-6 fatty acids. Menhaden fish meal – These are small herring-like fish which are rich in omega-3 fatty acids. Dried egg product – While eggs may not seem like a typical dog food ingredient, they are highly nutrient-rich and easily digested. Montmorillonite – Believe it or not, this is an edible clay. Among it’s many properties are the ability to speed the digestive system, and boost immunities. Tomato pomace – This is a by-product of the tomato soup and juice industries, and some people consider it controversial and little more than filler. However, it can be a very good source of fiber, vitamins and nutrients. Dehydrated Alfalfa Meal – Alfalfa is considered a premium grade ingredient – for humans! For dogs, however, it is often used as a cheap protein source. Although alfalfa is full of nutrients, seeing it here in its dehydrated form suggests it is present to boost the protein levels rather than provide vitamins and minerals. Not bad, exactly, but disappointing. Is Wellness Dog Food Any good? Is Honest Kitchen Dog Food Recommended? Depending on the formula, the following sizes may be available in dry dog food:5 Pounds, 15 Pounds, 30 Pounds, 40 Pounds, 50 Pounds. Adults – All varieties are suitable for adult dogs. Seniors – There are a couple of blends appropriate for older dogs. Wet offerings may suit aging teeth and gums. 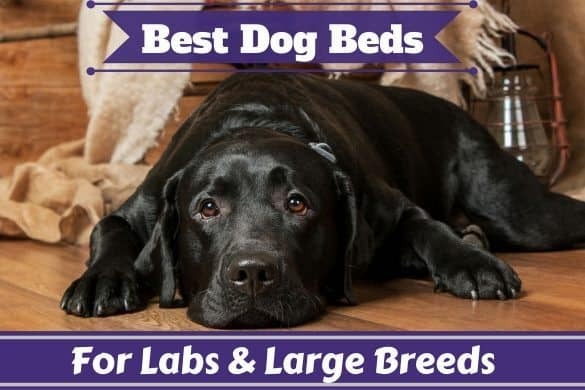 Large/Giant breeds – High-protein blends are perfect for large dogs. Standard breeds – Any average size dog will receive good nutrition from the available blends. Active – A couple of high-protein formulas with special additives well suited to higher energy dogs. Fussy eaters – Not a lot of exotic ingredients to be found here; the basic blends should suit picky palates. Toy breeds – No special formula for tiny dogs, or reduced-size kibble. Small breeds – As above. Wet food might be suitable, depending on the size of the chunks. Puppies – Only a couple of puppy targeted blends, but no reduced-size kibble for small mouths and throats. 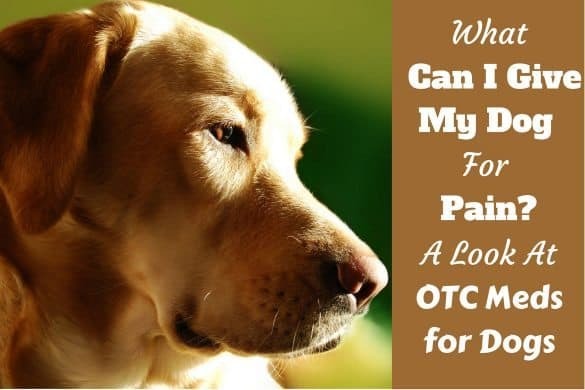 Dogs with allergies – Unless your dog’s allergy is to a specific grain, you are unlikely to find a solution here. Pregnant dogs – No targeted formulas. Touted by the maker as a Super Premium dog food, this formula combines beef, chicken, pork and fish, all sourced from the United States. Peas and Sweet Potato are also added to the mix. It is supposed to support digestion and help bolster the immune system and does have a wide variety of nutritional supplements. Dehydrated Alfalfa Meal figures prominently in the ingredients list, and we also find Natural Chicken Flavor, which is not a preferred ingredient, though it may be innocuous. 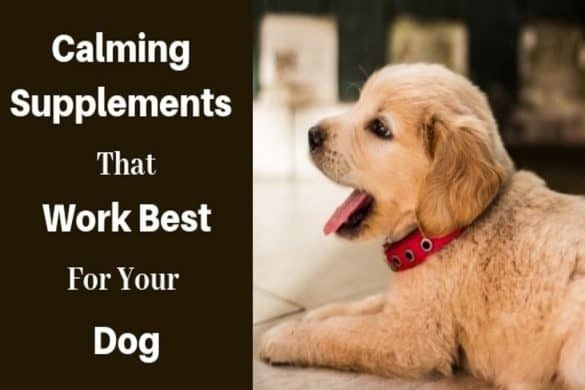 There is not a lot of plant matter in this formula, which should please many dog owners. This blend comes in three sizes: 5 Pounds, 15 Pounds and 30 Pounds. It’s nice to see this amount of choice; not every owner wants the workout size bag. Purported to be a special blend for both growing and active dogs, especially large breeds. More than two-thirds of the protein is derived from animal sources (beef, chicken, pork), which is always good. Grains are featured in this blend, but like most Victor dog food, vegetables and berries are notably absent, save for dried carrot. Dehydrated Alfalfa Meal is way up on the ingredients list, and here again is Natural Chicken Flavor, which is not something I like to see, though, again, it may be just fine. Glucosamine and Chondroitin are features of this blend and both are very good for promoting joint health, which is ideal for bigger dogs. This blend comes in only two sizes: 5 Pounds and 40 Pounds. I’m not sure what value the small bag is, other than to treat it as a sample size before committing to the larger size. The maker describes this as an all-purpose food good for lactating females, puppies, growing and active dogs, and sporting dogs of all ages. 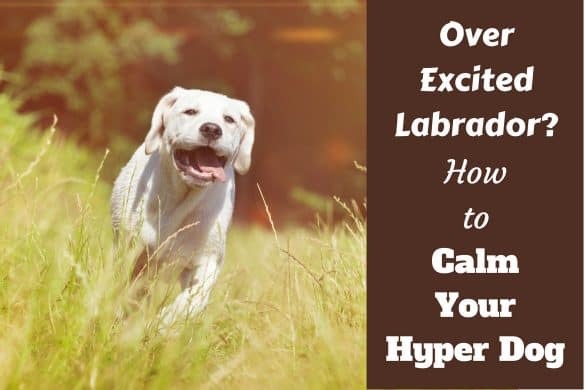 One of its purported benefits is extreme digestibility, which apparently will result in “minimal stool volume” which may be of interest to breeders or people with a lot of dogs. Although most of the protein comes from concentrated animal sources, the number two ingredient is grain sorghum, which is not a premium grain. Again, we see dehydrated alfalfa meal near the top of the list, too, and Natural Chicken Flavor rears its head yet again. Buyers can choose from 5 Pound, 40 Pound, and 50 Pound bags. The larger sizes are ideal for the larger dogs (or packs) that are likely eating this food. As far as the Victor Grain-Free Active Dog and Puppy formula goes, the folks at DogFoodAdvisor have rated Victor quite highly. They took little to no issue with any of the ingredients, save for alfalfa, and appreciated the dominance of meat as protein sources. Several formulae were reviewed on this site, and all received praise and accolades. They did, however, note the use of Blood Meal in one formula, an ingredient they believe is better suited to fertilizer than to dog food. Evidently it is a protein booster, but the provenance and content are difficult to assess. Overall, they are pleased with Victor dog foods. 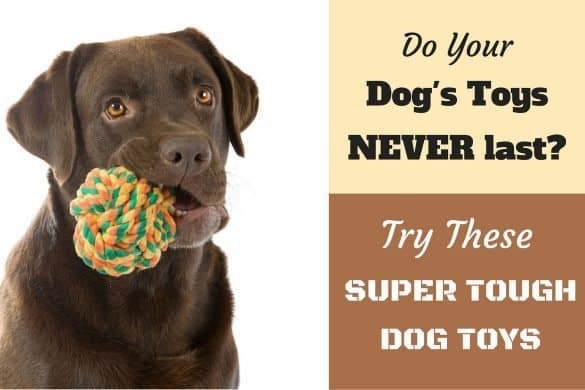 ​Reviews from previous buyers and current users of a dog food, how their dogs react, whether they thrive or otherwise is one of the best yardsticks for whether a dog food is good or not. You can read many customer reviews on Chewy by clicking here. Quality meat ingredients dominate the protein spectrum of the brand. There are very few controversial items listed on the bags. Consumers (purchasers, not eaters!) will appreciate the variety of sizes, and the price-point; this is not expensive food, considering the quality of the content. The corporate image is very Southern U.S. in flavor. In fact, they advertise themselves as the “Official Dog Food of Duck Commander.” (Which, if you don’t know, is the business owned and run by the cast of “Duck Dynasty.”) I’m not saying there’s anything wrong with this, but it does stand out when contrasted with most competitors. I have some reservations about certain ingredients used in several blends, especially Dehydrated Alfalfa Meal, and Grain Sorghum. Both of these items are also key ingredients in Victor Premium Horse Feed. The remarkable similarities between the formulae also concern me. Though many claim to be targeted at a certain kind of dog, it seems as I read through the descriptions I kept seeing the words, “formulated to meet the nutritional levels established by AAFCO Dog Food Nutrient Profiles for All Life Stages” and identical feeding instructions on every page. While I don’t doubt the quality of the food, I see little evidence of true variety or targeted nutrition. Victor dry dog foods appear to strike a good balance between premium content and medium price. 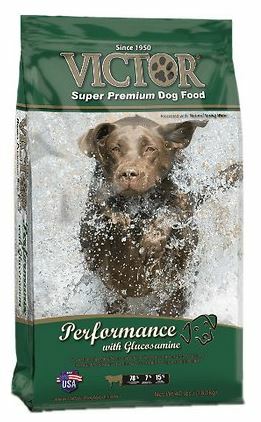 While we probably wouldn’t call this a “super premium” dog food, it certainly seems to be of better than average quality and may be a good choice for a budget-conscious owner of a dog of average size, age, and health. 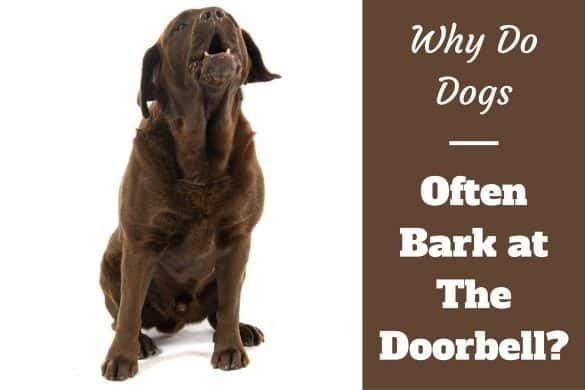 Why Do Dogs Bark At The Doorbell? Thank you for the research. My chocolate lab loves the victor lamb but gets very itchy on her back after eating it.